Posted on May 18, 2018 at 2:02 am. More than half of your business’ energy consumption is accounted for the use of your heating and cooling system. 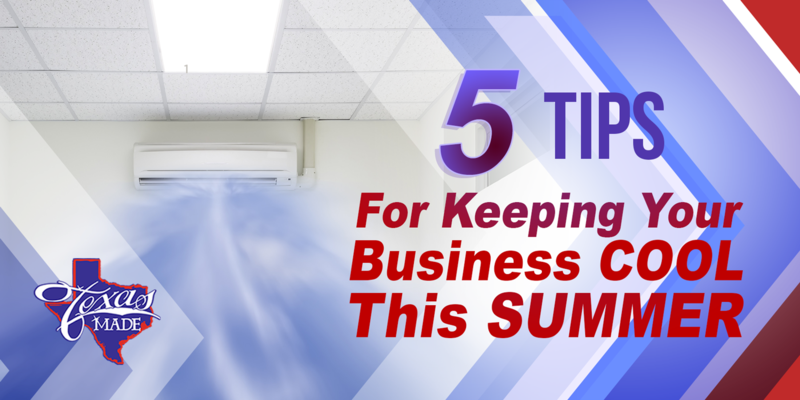 Unless you want to see your employees and all those who come in and out of your office sweating, you need to run your air conditioning unit continuously. But talking about the energy bill, this can truly be stressful! Paying attention to the vents inside the building is important. There are lots of cabinets, shelves, and other equipment in the office and sometimes, they are unintentionally blocking the vents and registers. If the vents are blocked, the conditioned air will not be distributed properly. As a result, there will be insufficient cooling inside the office. There are many appliances inside the building which release heat. The most common and the largest contributor of all is the lighting system. Shifting to natural light and LED bulbs are a great upgrade that commercial owners need to do to keep cool and save money. For computers and other appliances, it is best to choose more energy-efficient models. Upgrading to newer devices gives you up to 90% energy efficiency and less waste heat. A programmable thermostat can give you great savings since it can automatically adjust the temperature from 10-15 degrees when no one is around. This can also reduce your energy consumption up to 10 percent. Cleaning or replacing air filters is an important activity that every business owner should know to maintain the right comfort inside the building. With all the dust, dirt and other particles stuck in the filters, there will no longer be enough space for the air to pass through. Obstructed air flow is detrimental to your cooling system as it reduces the unit’s efficiency in cooling the place. Additionally, dirty air filters can bring trouble to the health of your employees and to anyone who comes in and out of the building. A regular tune-up is your system’s regular dose of TLC. Since your commercial units can make or unmake your business, it always pays off to spend the money on keeping them maintained professionally. A regular tune-up can give you peace of mind and will help your unit to function efficiently so that proper cooling and comfort is achieved inside your building. Do not let your commercial HVAC units put you down this summer. Call the professionals at Texas Made Air Conditioning and Heating to prepare your system for the heat wave!